Melasma is a brown patch of skin on the face that occurs due to sun exposure. These brown areas typically appear on the forehead, bridge of the nose, and cheeks. They may also appear on the forearms or any other area that is commonly exposed to the sun. The condition is more common among people with darker skin, possibly because the melanocytes – the cells that produce pigment are already more active than in people with light skin. Melasma is not to be confused with a temporary sun tan or sunburn. The brown spots persist and often appear blotchy. Sometimes they do resolve on their own but they can also spread. There is also a hormonal link to skin darkening. Women are far more likely to be affected than men. It is very common during pregnancy and is sometimes referred to as the mask of pregnancy. Women taking oral contraceptives can also be affected. 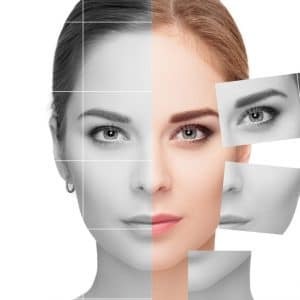 The Solihull Medical Cosmetic Clinic under the care of leading laser expert Dr Victor Sagoo is proud to be one of the very few clinics in the UK offering the most powerful IPL treatment that may help improve sun damage, skin rejuvenation and facial redness. The Cutera LimeLight delivers a non-invasive light treatment that can be customized for different skin tones and aging skin conditions. The result is an exceptional skin rejuvenation treatment with minimal discomfort. The LimeLight Facial is a new, non-invasive approach to skin rejuvenation using Cutera’s LimeLight. The procedure may be able to improve skin tone and other surface imperfections associated with aging and photodamage. The LimeLight Facial is ideal for any part of your face, neck and décolleté with facial redness, telangiectasia (tiny veins) or brown spots. Light (low contrast) brown spots, which were previously difficult to resolve, often respond very well to treatment. When the pulse of light is delivered, patients will experience a mild pinching or stinging sensation. Gel is recommended to cool the skin before vascular treatments. Anaesthesia or pain medicine is typically not required. Two to six treatments are usually sufficient to see results. Additional treatments may be recommended, especially for excessively sun damaged skin. The number of treatments required will vary from person to person. Immediately following treatment, brown spots will start to darken and your skin may appear slightly red. The treated area may be mildly swollen. This typically lasts a few hours and possibly a day or longer. Make-up can be applied to cover the facial redness. Within one to three weeks, the darkened spots will usually flake off and fade. Around the same time, most patients notice that diffuse facial redness or telangiectasia decreases, and the mottled complexion improves. Will the spots and facial redness reappear over time? 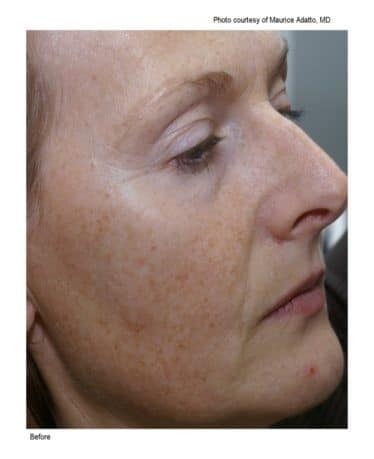 New brown spots, telangiectasia and diffuse facial redness may appear with new sun damage; however they too can be treated. Remember to always apply broad-spectrum sunscreen when outdoors, to minimize sun damage and the appearance of new spots and diffuse redness. Rosacea is chronic and cannot be “cured” with any laser or light source; however, its appearance can often be be improved. Schedule your consultation now to find out if you are a good candidate for LimeLight Facial. LimeLight Facial™ Treatment for Facial Redness, Tiny Veins, Brown Spots and Sun Damage. Limelight IPL is one of the newer forms of facial rejuvenation. Unlike lasers, which use intense, focused light, IPL is intense broadband light. Although IPL delivers energy to both the superficial and deep layers of the skin, the epidermis is generally spared from damage. Thus, there is virtually no recovery time required after the treatment. IPL may smooth the skin and may fade age spots, freckles, melasma, and even broken blood vessels. Improvements usually last for about a year with good sun protection. IPL is safer than laser therapy because IPL does not damage the epidermis. There is no recovery time. Unlike laser therapy, however, you may need multiple treatments (the average is four to six, at three weeks intervals) to get the full benefit. Laser resurfacing is a treatment that aims to “burn off” age spots, melasma, wrinkles, and fine lines with a laser. Laser resurfacing may remove most age spots, melasma, and wrinkles, often in just one treatment. Lasers actually remove the outer portion of the skin, called the epidermis. Because of this, you may experience some pain as well as redness and peeling following the treatment. You may even form scabs in the days after the procedure. Expect a recovery time of at least a week. Chemical peels and topical bleaching creams, including medium depth peels. Chemical peels may smooth and firm the skin, and may lighten dark areas gradually. The superficial peels, such as a glycolic acid peel, can be done during your lunch hour, and there is no recovery time. Deeper peels are generally more effective, but also require longer recovery. See more details under chemical peels. Different kinds of peels carry different risks. Superficial peels are usually quite safe. However, you may need a series of superficial peels (done approximately once a month) before you’ll notice a significant improvement. A Jessner peel is a medium depth chemical peel .It is one of the most effective peels to remove superficial layers of the skin. It can be used on all types of skin to treat sun damaged skin, ageing skin, and lighten areas of hyper pigmentation. A Jessner Peel is great for those with acne, thick skin, skin discoloration, moderate wrinkles, and oily skin. Oil production will be decreased and clogged sebaceous follicles will be opened. A Jessner Peel works great for those with dull skin, white spots on the face, and lip creases. A Jessner peel combines lactic acid, salicylic acid and resorcinol to exfoliate the skin and penetrate deeper into the skin’s layers. A Jessner peel is for both men and woman who have acne, fine lines or uneven skin tones. There are many benefits of a Jessner Peel. A Jessner Peel can help to not only reduce the appearance of acne, but also reduce hyper pigmentation of the skin. Fine lines and wrinkles can be smoothed out, and the skin will be given a youthful glow. The complexion will be improved greatly, and pores may be reduced in size. 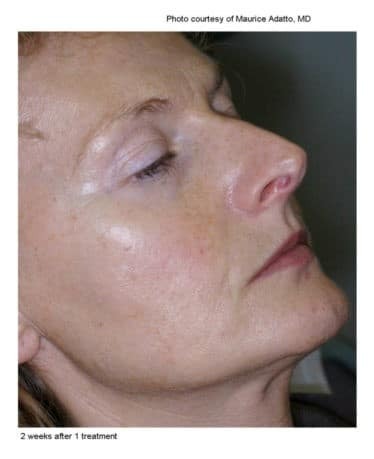 A Jessner Peel can be used to assists with treatment of Melasma. The results of treatment may be temporary. Brown patches can reoccur if a person continues to be exposed to the sun. Even a small amount of sunlight can cause the brown patches to return. The best way to prevent melasma is to limit sun exposure. Ultraviolet (UV) light from the sun stimulates the melanocytes to produce more color. People should wear broad-spectrum sunscreen with an SPF of at least 30 every day. UV rays can penetrate clouds and windows, so susceptible people should wear sunscreen at all times. Protective clothing, hats and sunglasses should be worn to reduce the amount of exposed skin.